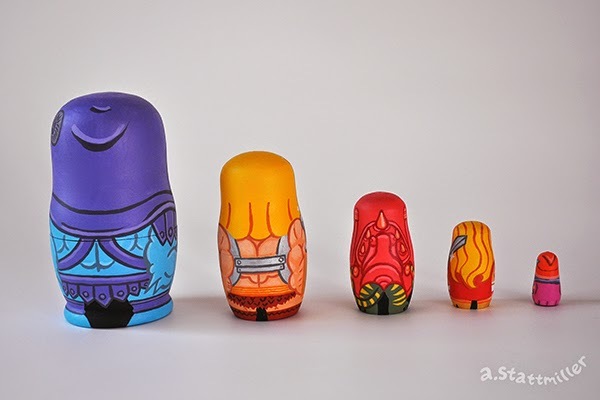 He-Man Nesting Dolls! 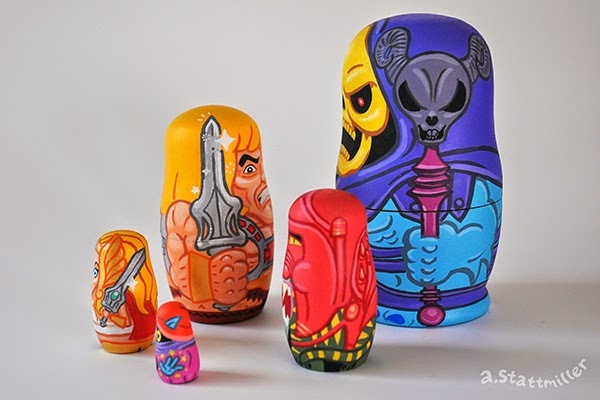 I liked this cartoon when I was a kid, so I had to make a nesting doll set of it. From left to right you have Skelator, He-Man, Battlecat, She-Ra: Princess of Power, and Orko. 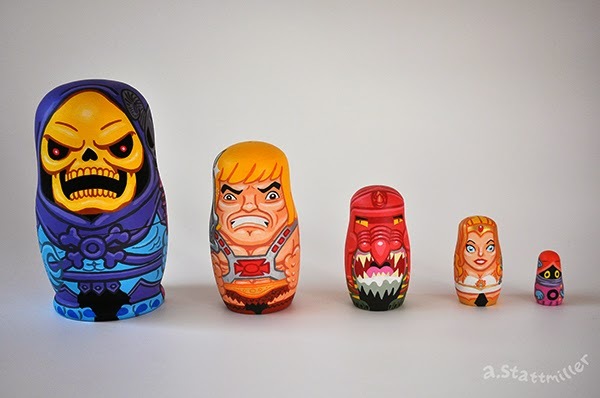 The Skeletor doll sits about 4.5" and Orko is 1.25". All are painted with acrylic on wood. It's on display in the Skull Show at Bedford Gallery in Walnut Creek, CA.